HARGEISA, 26 March 2009 (IRIN) - At least 15,000 Somalis, who had fled to the self-declared republic of Somaliland to escape violence in Mogadishu, want to return home following the recent change of government but lack the means to do so, aid workers said. Moreover, the circumstances of the estimated 2,500 families are complicated by the fact that Somaliland authorities consider them refugees while aid agencies consider them internally displaced. "The families want to return due to the difficult conditions they live in here," Zainab Mohamud, head of the Gashan Women’s Development Organisation, who works with the displaced families, told IRIN on 25 March. She said the families shared camps with locally displaced people and "receive very little help. The main problem is the lack of clarity over their status; are they refugees or displaced?" She said the families had received some food aid from the UN World Food Programme (WFP) but little else. Mukhtar Mohamed, a father of six who fled Mogadishu and now lives in Mohamed Moge district of Somaliland's capital, Hargeisa, said: "I have been in Somaliland for the last nine months and have received very little help. We have safety but nothing else." Mohamed Moge district is one of the most populated IDP settlements in Hargeisa. Since the situation in Mogadishu seems to be improving, Mohamed said, he would like to return home, "but I lack the means to do so". According to Mohamud, in the past two months more than 15,000 Somalis displaced in Somaliland and in neighbouring Djibouti had returned home to Somalia through Somaliland. She said the families in Hargeisa should be assisted to return home, "instead of living in these difficult conditions and in limbo”. 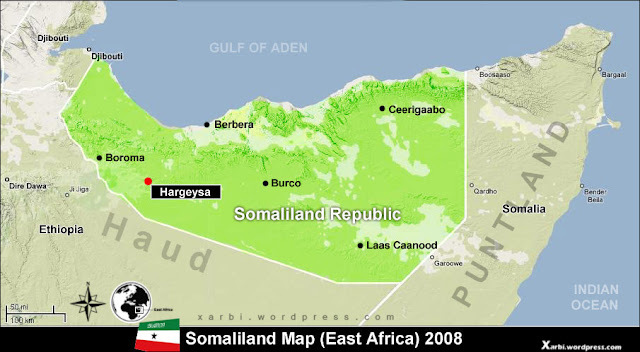 According to the UN Refugee Agency (UNHCR), Somaliland is hosting 80,000 IDPs. 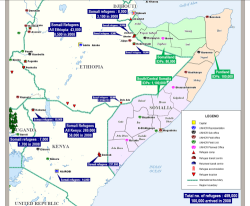 Roberta Russo, associate public information officer for UNHCR Somalia, said: "No IDP has approached UNHCR to ask for assistance to return to south-central Somalia yet." She said that since the beginning of 2009, at least 52,000 people had returned to Mogadishu. However, she cautioned that the "returnees are mainly heads of families coming to assess the situation, leaving the rest of their families in IDP camps". Russo said the humanitarian community "is seriously concerned about the spontaneous returns to Mogadishu as the security situation is still volatile and basic services to help the returnees are not in place". A task-force, which includes UNHCR, has been set up to assess as soon as possible the situation in the capital "and make recommendations on how best to assist people who are spontaneously returning as well as people who are still in the camps", she added.